Here are some stitch markers I made to go with my 5 shawls in 5 days, because sometimes I like to have new pretties for a project. 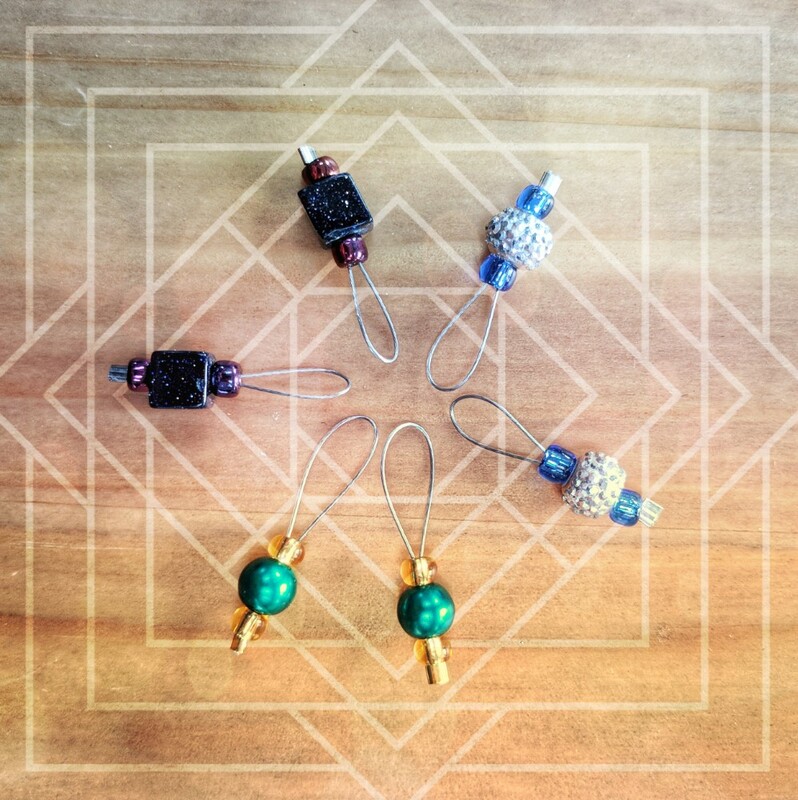 These are simple to make if you have the right tools: snip off a short bit of thin necklace wire, curve in half, place both ends through your chosen beads, then crimp an end bit in to hold them on. Snip any wire that’s sticking out the end. (And be careful not to get it in anyone’s eye!) Done! I probably spent more time playing with the photo processing overlays than I did making the stitch markers themselves! This entry was posted in jewelry, knitting. Bookmark the permalink.